Shamelessly and lazily cross-posted with SE++. 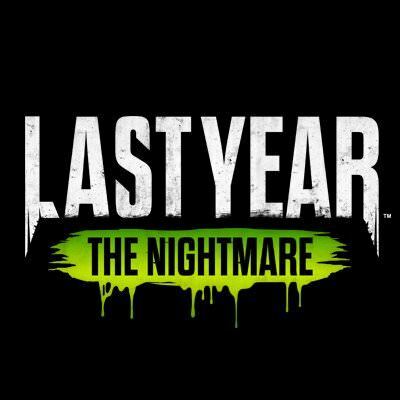 Last Year: The Nightmare is an asymmetric horror game where one player is a very powerful killer and five players are high school students stuck in a nightmare world (called, for some reason, The Nightmare) where they must try to escape, or be killed trying. Fortunately for them, dying is not permanent in The Nightmare, and if their friends can be relied upon to rescue them, they might still escape if they can get out before the time limit runs out. Their friends might be assholes, though, and leave them in the closet, alone with the killer forever. Killer players can select from three distinct characters: the Brute, the Slasher, and the Strangler. Every killer has their own unique characteristics, including weapon (or lack thereof) and instant kill location. The Brute is extremely physical, with the highest health pool of the three characters, but he is also the slowest. He has a charge skill to make up for this lack of speed, but he roars for like an eternity before charging so survivors know to GTFO or get turned into paste. He uses only his bare fists, but that's all he needs, really; even with just his fists he still outputs tons of damage (though not quite as much as the Slasher). His instant kill is that he bursts through the walls before headbutting an unlucky victim and smashing them on the ground. The Slasher is the middle-of-the-road killer. He has a medium-sized health pool, average speed, and no special skills. Instead, he has the highest raw damage output of any killer. If you let the Slasher get in range, you're gonna have a bad day. His instant kill is dropping from a skylight and planting an axe in someone's forehead. The Strangler is the fastest killer, although he is also the weakest and most fragile. 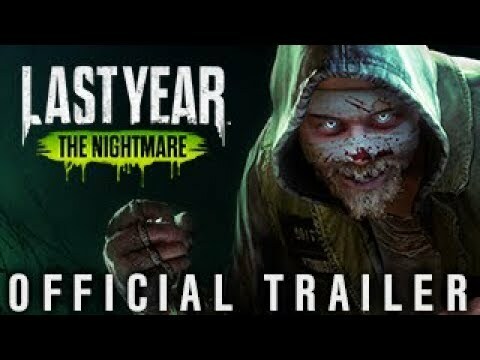 He requires some advance planning to be effective, because he relies on a hook and chain to pull survivors to him from a distance; think the Smoker from Left 4 Dead. He can also use his chain to separate survivors and pick them off when they're isolated. He uses a rusty pair of scissors as his weapon (although only for kill moves; otherwise he just slashes with his fingernails). His instant kill is hooking a survivor from a grate and pulling them in where nobody can help them. Unfortunately for the killers, the survivors can fight back, although dying is not the end for them either. Once a killer dies, they select a different killer and come back after a bit. This is your well-intentioned group of high school stereotypes, and although each character boasts her own distinct personality, they are not currently restricted to class. Assault: Meant for direct confrontation with the killer. Their whole schtick is protecting their teammates and trying to bash in the killer's face whenever he's dumb enough to show it. Their craftables typically revolve around being better at smashing killers. Medic: Basically the opposite of the Assault class. They want to heal their teammates and keep them on their feet so they can all survive and escape. This doesn't mean they're helpless; they can craft some defense items so that it's not hopeless if they're the last one left alive and teammates need rescuing. For the most part, though, they're there to undo all the killers' hard work. Technician: Think the Engineer from TF2. They construct defenses and craft weapons for the team. Scout: The Scout is the most unique class. They have access to a scanner tool that tells the team if the killer is nearby. It doesn't spell out their exact location, but it will show if the killer is hiding in an instant kill spot. It will also show whether or not they are in Predator Mode. They can also craft a variety of useful items so that they can defend themselves. As of today, 12/18/18, the game has released on Discord First. Next year, Last Year (hmm) will release on Steam and probably consoles. Eventually they'll move to dedicated servers for cross-platform play. The developers have said that new survivors/killers/maps/game modes/progression systems/etc. will be released over time and will all be free unless it's licensed content. Game looks real neat! Come play it with me! I played a couple games of this yesterday and I think it has more legs than Dead By Daylight. Lot of funny watercooler moments, and it feels a lot more 3-dimensional compared to DbD’s main gameplay loop of “fix generators and leave”. I'm really intrigued by this, but the few people I play with online are all console. I really enjoyed F13th and DbD, I just don't get enough time to 'schedule' games and playing with random people doesn't do anything for me. How's Controller support? I tend to play PC games from the sofa and KB&M doesn't do much for me.